I cut this recipe from one of my aunt’s old magazines because it sounded SOOOO good - just simple enough to NOT take ALL day, but flavorful enough to make everyone’s palette stand up and take notice. 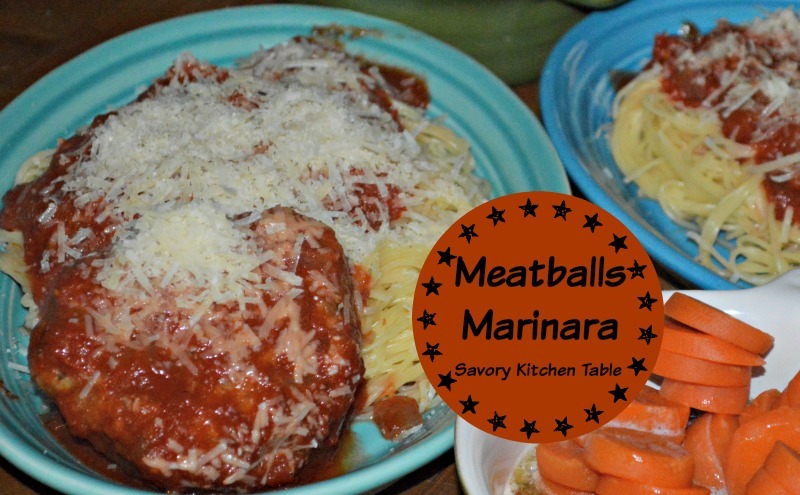 The recipe calls for great big meatballs served over pasta which are often better in theory than in practice and while they were tasty I will make twice as many next time at half the size - just personal preference for hubby and I. Most meatball recipes call for equal amounts of pork and beef, but theirs uses much more beef than pork - a mixture that held its shape well, but allowed for very moist meatballs. I made just a few changes to use what I had on hand and hubby said it was some of the best I ever made. Cook onions and shallot until golden, 10 to 15 minutes. Add garlic, oregano, and pepper flakes and cook until fragrant, about 30 seconds. Transfer half of onion mixture to large bowl and set aside. Add tomato paste to remaining onion mixture in pot and cook until fragrant, about 1 minute. Add wine and cook until slightly thickened, about 2 minutes. Stir in water and tomatoes, simmering over low heat until sauce is no longer watery, 45 to 60 minutes. Stir in cheese and basil and adjust seasonings with salt and sugar. Adjust oven rack to upper-middle position and heat oven to 475 degrees. Mash bread and milk in bowl with reserved onion mixture until smooth. Add remaining ingredients, except ground beef, to bowl and mash to combine. Add beef and knead with hands until well combined. Form mixture into 2 1/2-inch meatballs (you should have about 16 meatballs), place on rimmed baking sheet, and bake until well browned, about 20 minutes. Transfer meatballs to pot with sauce.